When has “fandom” gone too far? As sports fans, we get all riled up when we watch our favorite team or player. How many times have you been ready to throw the remote at the TV when your team gives up the winning touchdown with no time left or your guy strikes out to end the game with the winning run on third? We get so caught up that what comes out of our mouth is downright despicable. Most times we forget that those on the field making millions of dollars are people just like us, just in a different tax bracket! The emotions that run wild during a game is all fine and dandy, but Tom Brady goes home to his family after the game just like we go home to our family after a long day at work. 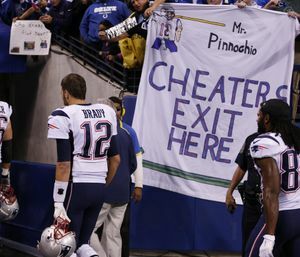 Eric Simons, author of the “The Secret Lives of Sports Fans: The Science of Sports Obsession” contributed a piece to the Washington Post in early 2015 just as “DeflateGate” was gaining full steam. He says that a team is an extension of expression of a fan’s sense of self, that we mirror even the actions of the players on the field. What happens when it goes too far and emotions get the best of us? We all remember “The Decision” when LeBron James told the world he was leaving Cleveland for South Beach. People were so distraught that their support wasn’t reciprocated, they burned his jersey in the streets. On the other hand, Miami Heat fans rejoiced. We’ve also been witness to violence applied directly to athletes on the field. Monica Seles was stabbed by a fan on the court and did not return to competition for two years. Or when Tom Gamboa was attacked by two fans while he was coaching first base for the Kansas City Royals. Have you ever thought about the constant abuse players receive when on the field or court? Now, don’t get me wrong, I completely understand the cheers and the accolades. They’re probably more than likely adored more than any other public figures on earth aside from rockstars. Personally, I remember my first professional appearance for the River City Rascals. Coming out of the bullpen in the seventh, fulfilling a lifelong dream. As I’m heading toward the mound, i hear “Go the **** back to Canada you bum”. Looking back now, I can’t help but laugh, but at the time laughter was not an emotion I felt. 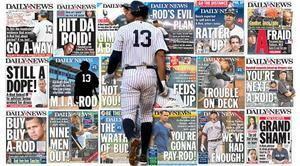 Alex Rodriguez has been the focus of fan hate for years. It doesn’t matter if he goes 4-4 with three home runs, the next day he gets booed. Has he brought this on himself? Of course, but how much can people take? There is a lot of pressure on players to perform, on top of the media scrutiny and social media, it must get overwhelming. Can you imagine, you’re at work and you make a mistake and a group starts to lay in to you and not just for that day. This will continue for weeks, months, and/or years. I’m going to the extreme, but it’s all for context. It must just be our competitive nature to get amped up watching games. We critique and critcize every play like we could do any better. Will Scott Norwood ever be remembered for anything other than Wide Right? If you’re a Bills fan what was going through your mind at that exact moment? It wasn’t pretty I can tell you that. These moments can stay with players forever. I know. I only played professionally for a short time, but I still remember all the moments when I was on top of the world and all the moments when I couldn’t accomplish what I set out to do. Donnie Moore was a first round pick by the Chicago Cubs in 1973. He played for 13 years and put up good numbers. 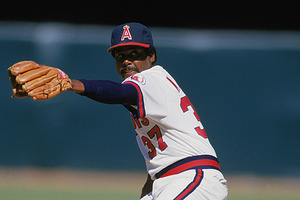 In the 1986 ALCS, Game 5 against the Boston Red Sox, Moore was one strike away from sending the California Angels to the World Series until he gave up that fatal home run to Dave “Hendu” Henderson. The Angels, up three games to one at the time, lost the next two games along with their championship hopes and dreams. Moore was never the same. MIred with injuries and the constant reminder of that pitch, Moore committed suicide three years later after a violent argument with his wife turned violent. We cheer when our team wins and jeer when they don’t. There’s nothing wrong with that, but the next time we call that player “a bum” just remember, you never know what others are going through. In the end it’s just a game and it’s their job. ← 3rd and Long for Manziel?